New Kid's Jewelry Kits - Bracelets & Necklaces! Just in time for holiday gift giving, you'll find new product arrivals in the Kid's Craft Kits section of the store! Making beaded jewelry is easy with these Make-It, Take-It Jewelry Tote Kits from The Bead Shop. These kits include easy-to-follow, full color instruction books and all the supplies needed to make bracelets and necklaces that kids will want to wear! 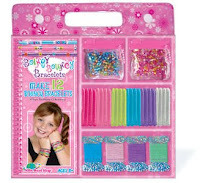 The Boingy Bouncy Bracelets Kit makes 12 bouncy bracelets! They're made by combining colorful jelly coils with glass beads on colored elastic cord. The result is a modern, new look for kid's jewelry. These new kits come in a convenient take-along tote bag, making it easy to take them anywhere. The glass beads are organized in reusable zip pouches for easy storage. 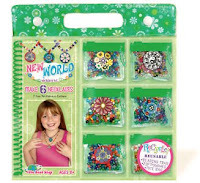 The New World Necklace Kit makes 6 beaded necklaces with pendants! There are over 850 colorful glass beads included in this kit. The 6 New World fimo pendants can be interchanged to create a new look every day. These kits include a beading tray, making it easy for kids to design one-of-a-kind bracelets & necklaces to wear. 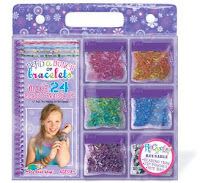 The Bead a Bunch of Bracelets Kit makes 24 beaded bracelets! With over 2,000 glass beads, there are enough supplies for kids to invite their friends over for a jewelry making party. Visit the Kid's Craft Kits section for all the details on these jewelry kits and more. Kids will gain confidence as they learn new skills and make something new & unique to share. Kits make it easy by bringing together everything they need to get started. Explore a variety of craft categories at Weekend Kits and be ready to learn a new skill on your next Weekend at Home. 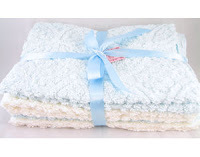 Make a Plush Chenille Rag Quilt for Baby! New Baby Rag Quilt Kits! We have new kits to share with you today. You'll find them in the Quilt Kits section of the store! 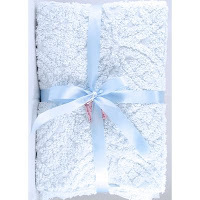 You can make an ultra soft rag quilt for baby using the plush textured chenille included in this quilt kit from Wimpole Street Creations. Chenille fabric can vary greatly across manufacturers, so I think you'll be pleased with the high quality cotton chenille fabric included in this kit! This baby rag quilt kit includes all the chenille fabric you need for the quilt top and step-by-step instructions for making a rag quilt. Additional fabric requirements are included with the instructions. 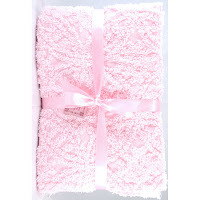 You can choose your own cute baby themed fabrics to coordinate with the soft pastel colors of the chenille. Rag quilts are comprised of 3 layers of material. The top layer of this quilt is made using the chenille included with the kit. Flannel fabric is used for the center layer, in place of traditional batting material. For the backing material, you can choose either tricot or cotton, depending on your preference. The quilt pattern is a traditional rag quilt patchwork design made up of alternating color squares. It's a simple quilt design for beginners and makes a great weekend quilt project for experienced quilters! With rag quilts, rather than hiding your seam allowances inside your quilt layers, seams are formed on the top side of the quilt. To finish your quilt, you snip along the exposed seam edges, creating a fringed effect. After a few washings, the fringe will fray and create a soft and ruffled appearance. Baby's new quilt will be ultra soft! You'll need basic sewing and quilting supplies to complete your rag quilt project, including a sewing machine, matching thread, rotary cutting tools, and quilting pins. Spring-loaded scissors are recommended for snipping your quilt. Visit the Quilt Kits section for additional details on these baby quilt kits and to see our complete selection of easy quilt kits. Kits make it easy for beginners to learn a new craft. They're also convenient for busy crafters with little time to spare. Kits also make great gifts to give this holiday season. You'll find a creative project kit for everyone on your list at Weekend Kits! Caron Latch Hook Kits - New Bart Simpson Kit! We have new product arrivals to share with you. You'll find 3 new kits in the Latch Hook Kits section of the store. There's also a new kit in the Seasonal & Holiday Kits section you won't want to miss! The Bubble Bath Bart Latch Hook Kit is a brand new latch hook design by Caron International. Complete illustrated instructions, pre-cut rug yarn, and color-coded canvas make this an easy latch hook kit for beginners. Just add a latch hook tool and you'll be ready to start latch hooking! The finished rug size will be 20" x 27". 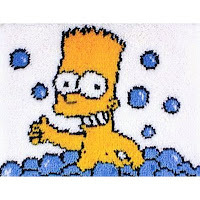 You'll have fun making this latch hook featuring Bart Simpson in a bubble bath! It would look great as a decorative wall hanging. 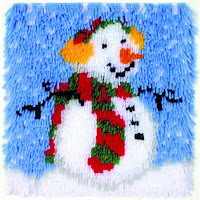 The Snowman Latch Hook Kit is a quick & easy latch hook craft kit for the winter holidays! This cheerful rug design features a smiling snowman wearing a knitted scarf and ear muffs. The finished size will be 12" x 12", ideal for making a soft throw pillow! Holiday themed latch hook kits are perfect for gift giving. We've added a new Huggables stuffed animal latch hook kit from MCG Textiles. The Bunny Stuffed Animal Latch Hook Kit includes canvas and pre-cut yarn for making a 19" tall, soft & fluffy bunny. 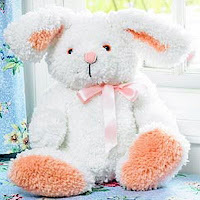 Surprise a young child with this adorable bunny made just for them! Make sure to visit the Latch Hook Kits section to see our complete selection of latch hook kits. 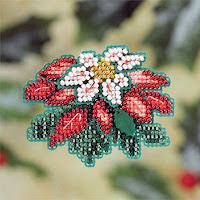 The Pink Poinsettia Beaded Pin Kit is a new pin kit from Mill Hill. This easy Christmas pin making kit includes Mill Hill glass beads, glass treasure, perforated paper, floss, needles, and pin back. Make this pin to wear this holiday season or to give as a thoughtful handmade gift for a friend! Visit Weekend Kits to explore all of our creative project ideas. Choose your favorite kit and be ready to create something new on your next Weekend at Home! Baby Scrapbook Kits - Make a Keepsake Album! We have 2 new Scrapbook Album Kits from Making Memories to share with you today. You'll find these new product arrivals in the Scrapbook Kits section of the store. It's easy to create a beautiful keepsake album with these Complete Scrapbook Album Kits! They include all the coordinated materials you need to make an album from start to finish. Scrapbook kits are ideal for beginners to make their first album. They're also convenient for advanced scrapbookers to make a quick & easy scrapbook album. 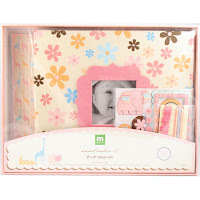 These baby scrapbook kits feature an 8" x 8" album with framed window and a generous assortment of coordinated papers, stickers, and embellishments from the popular Animal Crackers line. The Ella kit includes 8 designer papers, 8 dimensional stickers, 42 pebble stickers, 54 word-fetti stickers, 7 journal stickers, and 2 trims. All of the pieces in this kit are coordinated and ready for you to create your own unique page layouts of baby's special photos. Click on the image to get an up close view of this album kit! The Jack kit includes the same assortment of scrapbooking materials as the Ella kit. If you're new to scrapbooking, you'll need to have a few supplies on hand to complete your album. First, a pair of precision craft scissors to trim your photos to just the right sizes and shapes for your page layouts. Then, an acid-free scrapbooking adhesive to adhere your photos and embellishments to the pages. And don't forget journaling pens to personalize your pages with names, dates, and verses. You'll find all of the supplies you need to complete your album in the Paper Craft Supplies section of the store. You won't want to miss the Holiday & Christmas Card Kit from Creating Keepsakes. This is a complete scrapbooking card kit with step-by-step instructions, creative layout ideas, and all the materials you need to create 16 holiday greeting cards. You'll have fun making your own Christmas cards for family & friends this holiday season! If you're a beginner scrapbooker, the Creating Keepsakes website offers a community for scrapbookers to connect with one another. Visit the Scrapbook Gallery section for page layout ideas & inspiration for future scrapbooking projects. Visit the Scrapbook Kits section to see our complete selection of scrapbook album kits and be ready to create a keepsake album on your next Weekend at Home. Kits make it easy to learn a new skill. If you're looking for new craft project ideas, you'll find a variety of kit categories to explore at Weekend Kits.